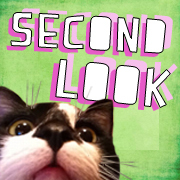 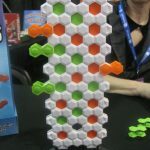 Winning Moves’ newest games include an original abstract and two revived classics. 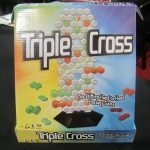 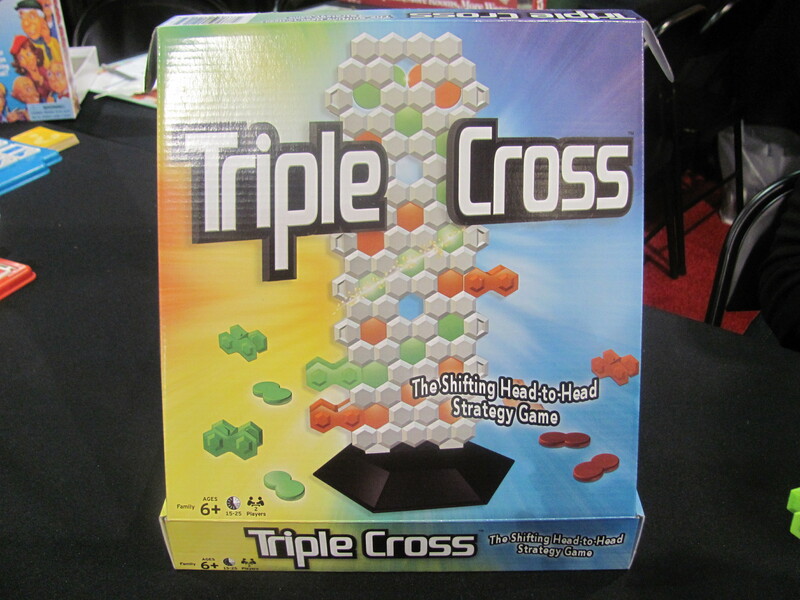 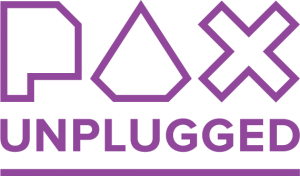 The abstract is Triple Cross ($20), which has players filling a vertical device with orange and green pieces to score the greatest number of three-in-a-row sets. 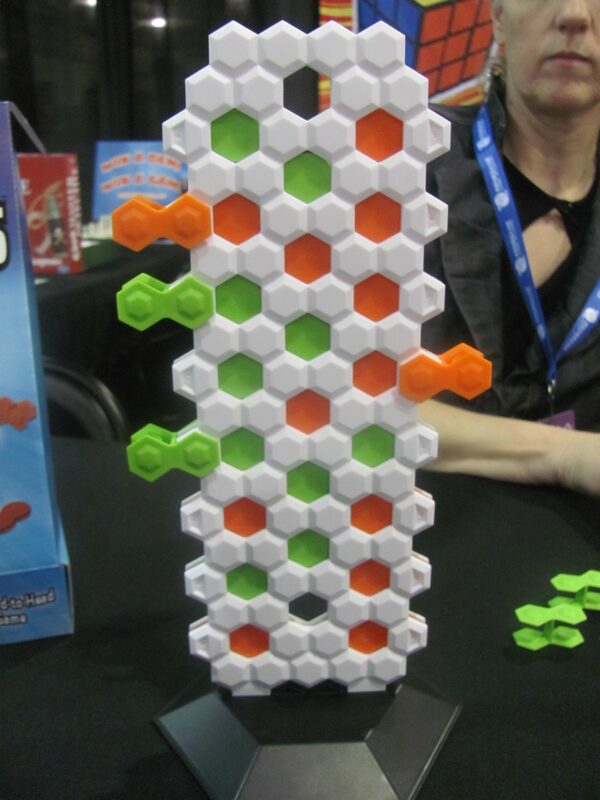 The pieces slide in to horizontal rows and can be used to push an opponent’s pieces out the other side. 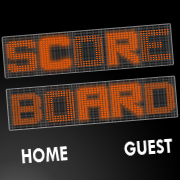 Or a player can snap a clip on the end to fix that row. 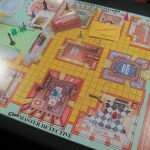 Clue Master Detective ($30) is a super-sized version of the classic deduction game, with additional rooms, weapons, and suspects. 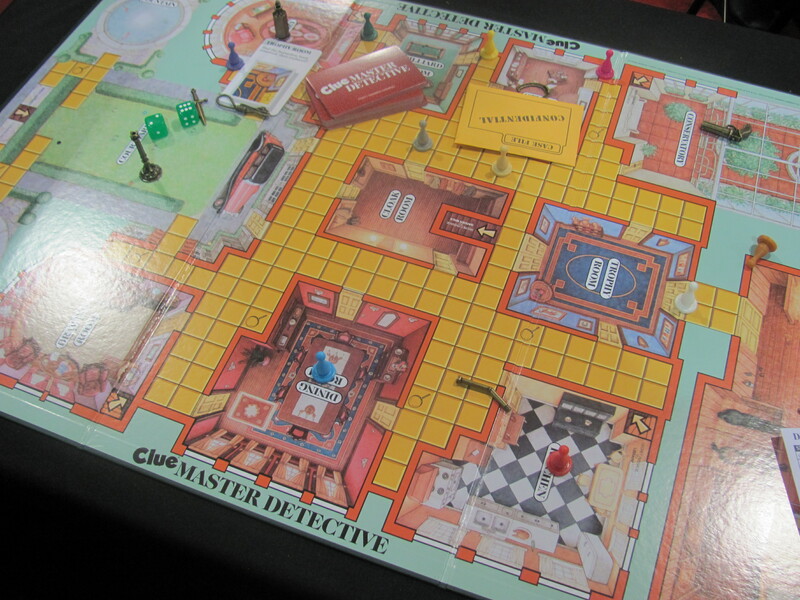 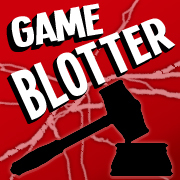 The mansion board also has snoop spots, which allow a player to look another player’s cards. 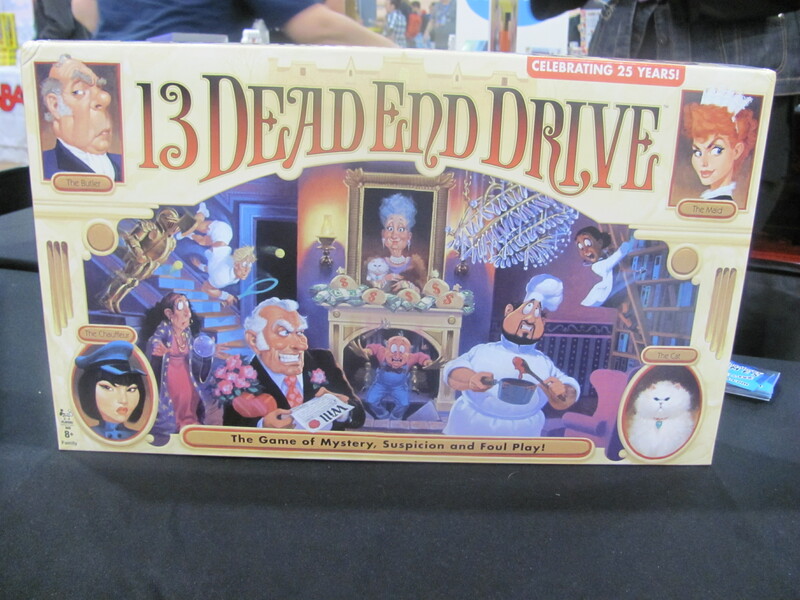 A Milton Bradley title from the early ’90s, 13 Dead End Drive is kind of the inverse of Clue. 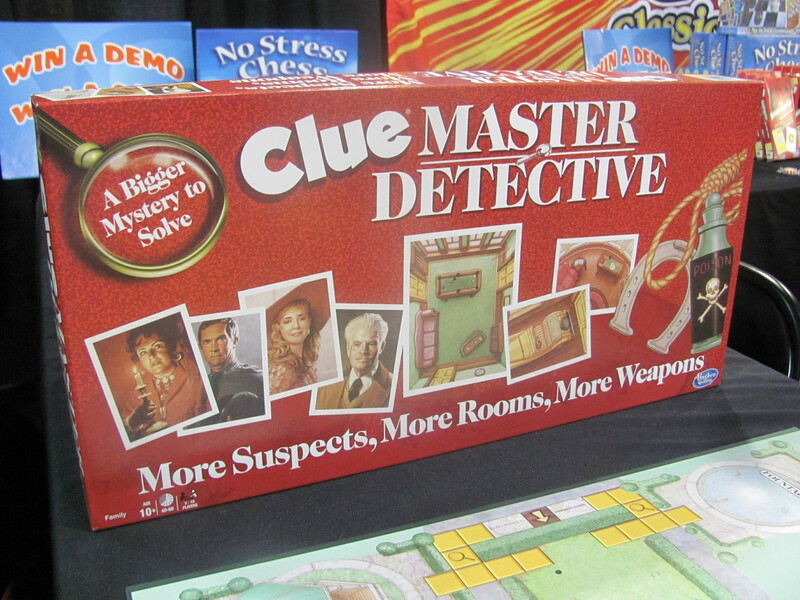 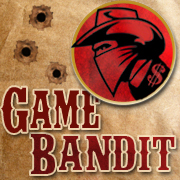 Players divide up the game’s 12 characters in secret and then try to kill off all but their own. 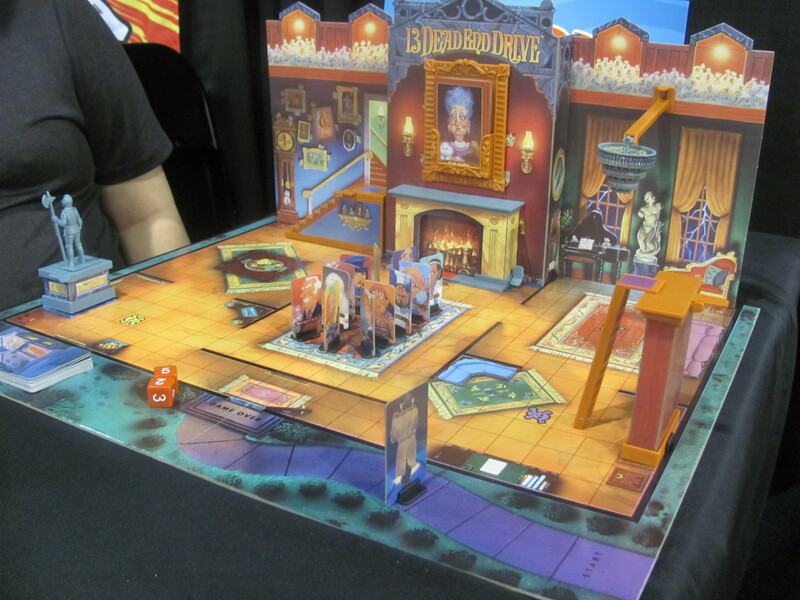 Each turn they can move any of the characters around a three-dimensional game board. 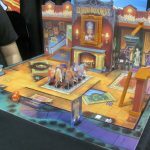 When they manage to maneuver a character pawn in to one of the various danger spaces, they can press a little lever or switch and literally topple a statue or drop a chandelier on the piece to kill it. 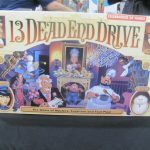 13 Dead End Drive is exclusive to Go! 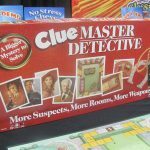 Calendars & Games until January.